SM Pro Audio gear - any good? 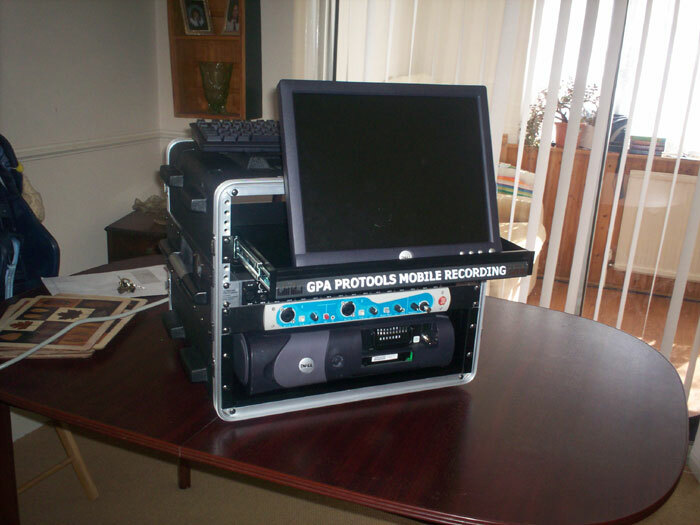 I'm in the process of setting up a mobile PT tracking rack which I can rent out to bands who want to record demos or whatnot... it's pretty basic, Digi001 and Powermac G4/OS9/PT 5.1, minimal outlay so it's affordable to rent out and not a huge risk, but can still get tracks down for mixing on more modern systems later. The EP84+PR8IIA would give 8 mics into the 001's ADAT in and the PR8E would give another 8 for the analog line connections - for less than AU$1200. The Australian RRPs for these are pretty darn good - but do they sound any good? Anyone got any experience with them? I'm not after super high quality, just clean and 'not crap'. we have their hp6 headphone amp and have been very happy with it. The Preamps are great, full bandwidth and low noise. Can't fault them at the price, and probably as good as Mackie Onyx imo. Sad but true, but the SM Pro Audio Preamps are serious crap. Your signal will degrade to the worsest homerecording quality. It has no dimension and is lifeless and boring. You cant get rid off this by using plugins or other hardware fx. They are good for drums, which are going to be fixed with sound replacer anyway because us low enders don't have decent drum rooms anyway. I put the overheads thru i88x preamps the rest thru the sm pro uadio preamp, fix it with sound replacer neve sample drums and viola', I ROCK!! Wow, I didn't know that "Low end" = "Low effort"
Australia? That means a BlackLionAudio mod is too costly because of the postage and customs. But you can look the mods up on the net and have someone with solid knowledge and a soldering iron help you out. We tested both. The black one has some more upper mids and less lower mids. Well, but whats an alternative if price counts? I've already spoken to the guys from BlackLionAudio... they can do the same PR8E mod to the EP84, which is cool. The modification isn't what you'd call cheap but AU$900+US$350+say AU$100 postage for 8 genuinely good mic pres and lightpipe AD isn't exactly unreasonable either.... I can't think of many good 8ch mic pres with ADAT out for under AU$2K. Customs would be interesting. Technically you're not importing the item, merely bringing it into the USA for 'repair' then mailing back to Australia where it was originally purchased in the first place. Australia is pretty generous with customs, I think the free limit is AU$1000 value before they want a slice of the pie. damn... i wish brazilian customs was like that... they charge 60% over the price and postage... and you would not believe the kind of bureaucratic s**t they make you go through. I used a Dell Optiplex rather than a Mac, which is rubber mounted into a 19" rack tray. The audio drive is in one of those removable caddies so the session can be pulled out and put in the TDM system I have. In most cases though I do a lot of mixing with the rack system as it is. Although it's only a 2.8Ghz P4 it can handle quite a few plugs before running out of power. Your right to be suspicious about the ADA8000, the unit I had in there went wrong only three days after the rack was built !! Shame cos it's such a useful unit if you need ADAT I also looked at the SM Pro unit but didn't go for it due to the Behringer offering better gain control. The Digi 001 and Protools has been rock solid though, it works first time every time and so far hasn't ever stopped or crashed during all the live gigs I've recorded. I'll let you in on a Trade secret. Even the BIG Studios use sound replacer, in fact probably 80 - 90 % of the time for Rock and Pop, even though its been recorded thru an SSL in a time alligned drum booth with gold plated microphones! keep it under ya hat ok! And it takes alot more effort and know how to get sound replacer samples just right than it does to record a kit! Recording a kit is a piece of piss! no.. a lot of designfaults in their products.. actually I think Behringer has the better development team for budget gear. Which products are those George? Back to the topic, I think the SM Pro Audio mic pres sound fantastic, with a warm mic, almost outstanding notwithstanding theyre the bargain of the century. The Behringer pre's are clean, but kinda brittle, you don't hear it until you realise that nothing will sit in the track properly, everything is edgy. I've mixed 12 songs from ad8000 from 3 different bands. I hate it, it sounds wirey and lifeless in fact my old 001 tracks sound better apart from being a little noisy, at least theres a sweetness you can draw out from it. Likewise the SM Pro Audio which is very clean. i found a listening test weve done 4 weeks ago. Its about SM Pro Audio PR8mkII, EP84, DAV and Vox box. .... I can't think of many good 8ch mic pres with ADAT out for under AU$2K. My local pro audio music retailer said they stopped stocking SM PRO Audio gear because they had too much trouble with dodgy gear coming in. That's got me wary about getting any of their gear now but I was very tempted. man, that's sweet! where did you source the cool slide out monitor rack thing? they're designed for server installations, yeah? no, haven't done the mod yet - don't own any SM Pro gear currently. some of the responses here haven't exactly filled me with confidence. obviously i like to support local Australian companies where possible but not by laying over cash for crappy products. might just be a quality control issue with initial batches. hmmm... maybe I'll give them a call and ask directly ;-). might check out that Presonus too. can I convince you with an Audient ASP008? or not your pricerange.? if you kick in the extra grand... ;-) bit out of my price for this project. You can buy stuff like that already built minus the monitor though, here in the UK I use Farnell / Electronic Component Distributors / Suppliers / Electronics, Electrical Parts, Electrical Components and Wholesale Electronics. pre's a run for there money. I swapped out all the 4558 chips and put 5532, LM6172's, OP275's and LM4562's, put NPO caps in and it's as good if not better than anything I have heard in an 8 pre unit. To be honest, as stock it's not the greatest but with a little effort and not a lot of expenditure I have 24 pre's that EASILY rival Mackie Onyx and I have flavor too. Documentation and pictures of your mod would be greatly appreciated by this community I'm sure if it makes these into quality pres...pretty soon I'm going to need 24 mobile pres for a new location system I'm building. +1 thumbsup - better than I expected for the money. XLR2XLR, can you take a pic of the insides of your modded unit and give some more info about what you specifically did as I've got some 5532's and a few Nationals not doing anything right now. Are the IC's in sockets to make the swap easy? bump, any news on this mod?